Exciting New Menu coming soon - watch this space! 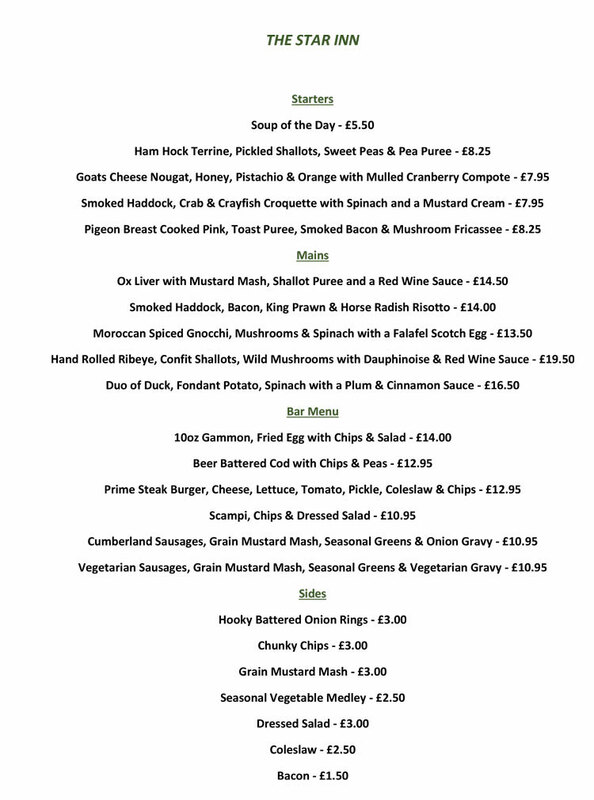 Below is our current winter menu. We pride ourselves on using locally-sourced, quality ingredients and our menus change with the seasons. We also have a Take-Away menu so that you can enjoy a selection of our tasty food in the comfort of your own home, Click HERE to see this menu.